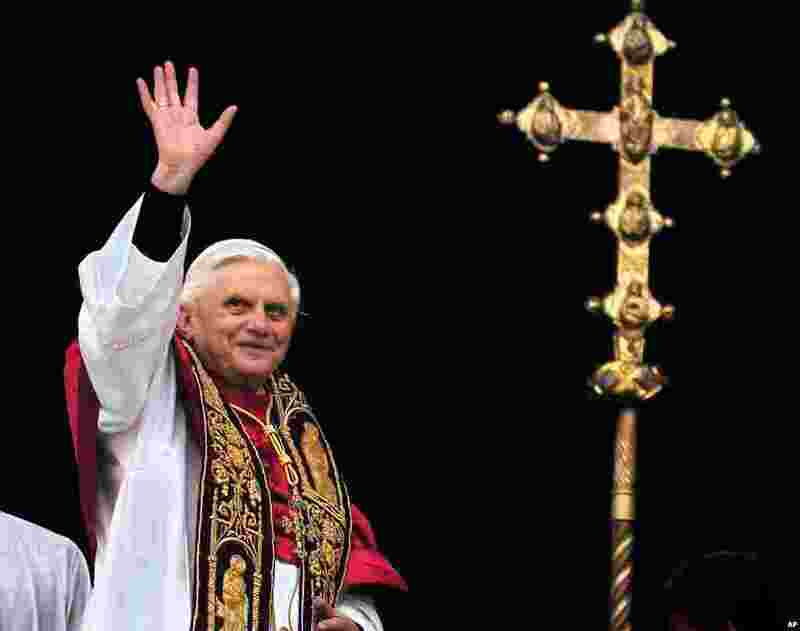 Pope Benedict has announced his resignation from the papacy. He will resign on February 28. 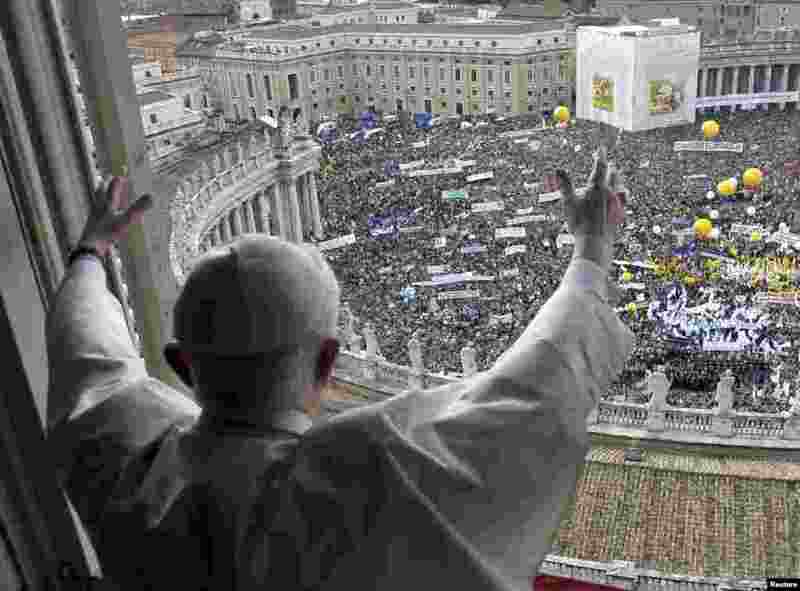 1 Pope Benedict greets the crowd from the central balcony of St. Peter's Basilica at the Vatican, April 19, 2005. 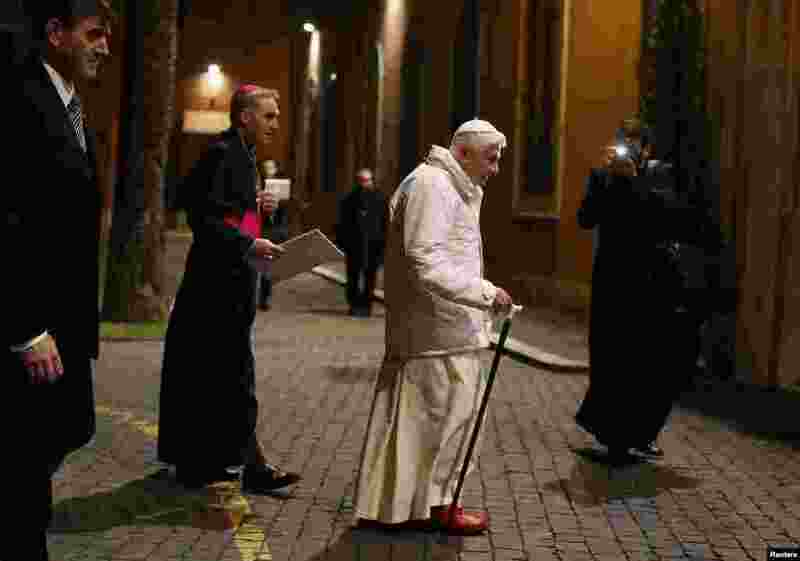 2 Pope Benedict arrives to attend a meeting with seminarians at the Romano Maggiore seminary in Rome, February 8, 2013. 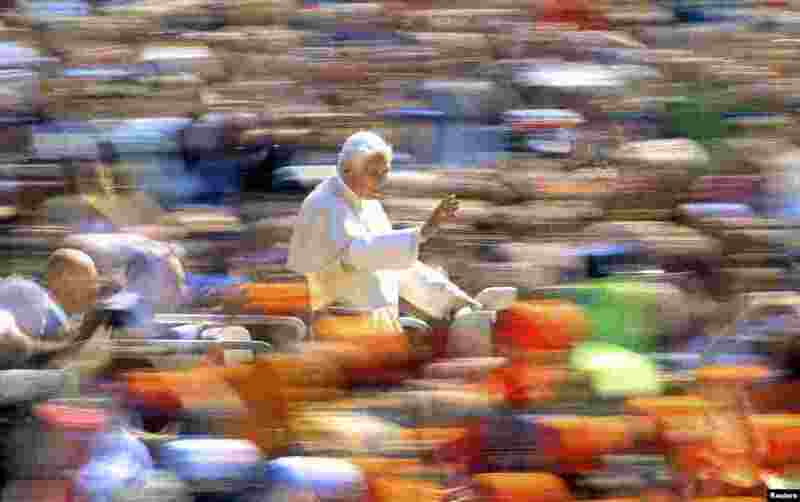 3 Pope Benedict waves as he arrives to lead the weekly general audience in Saint Peter's Square at the Vatican April 18, 2012. 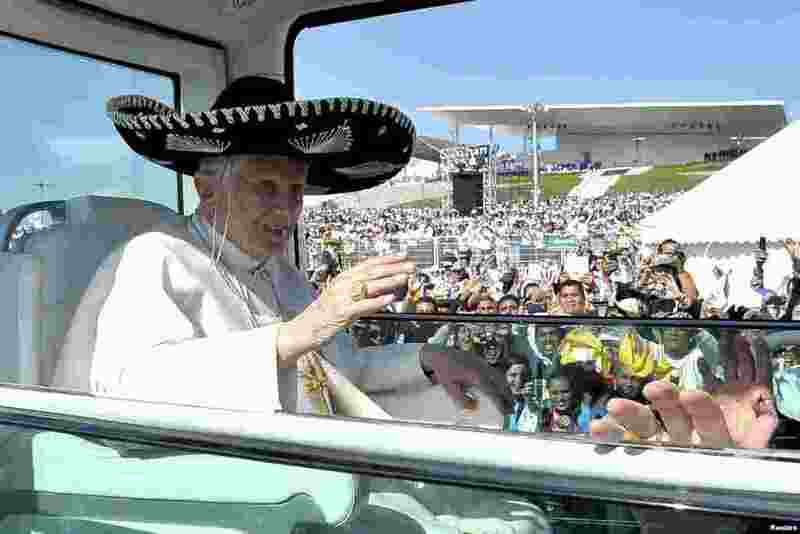 4 Pope Benedict wears a sombrero, a traditional Mexican hat, while being driven through the crowd before officiating a mass in Silao, Mexico, March 25, 2012. 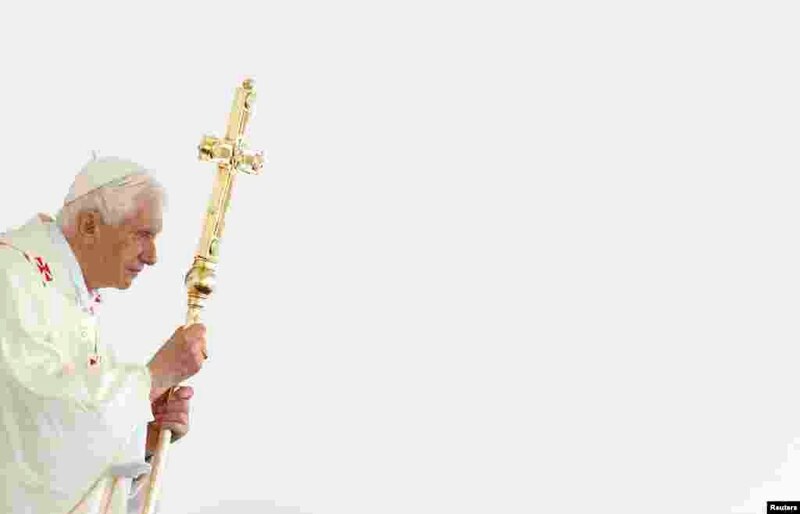 5 Pope Benedict holds his cross as he leads a solemn mass in Zagreb, Croatia, June 5, 2011. 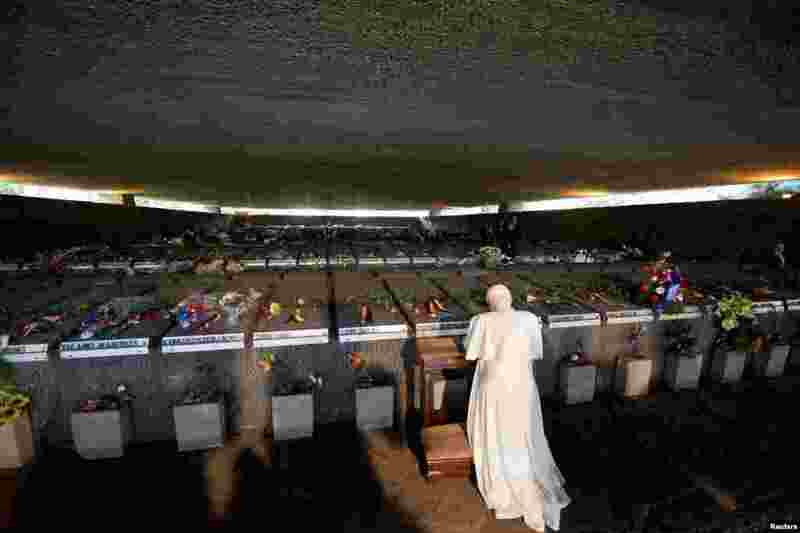 6 Pope Benedict visits the Ardeatine Caves Memorial in Rome, Italy, March 27, 2011. 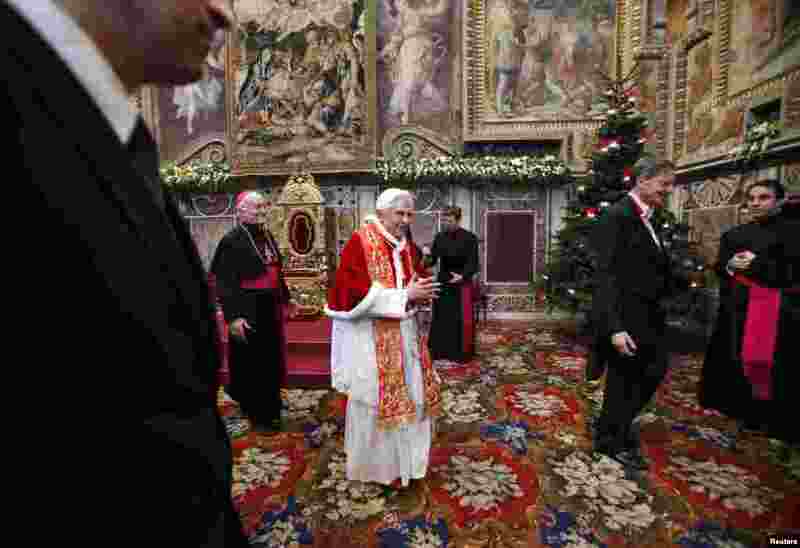 7 Pope Benedict leaves after an audience with Vatican-accredited diplomats at the Vatican, January 10, 2011. 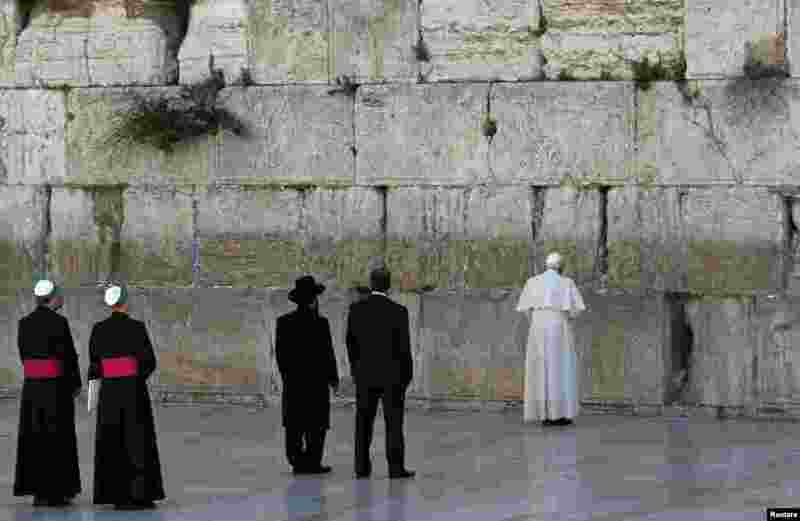 8 Pope Benedict visits the Western Wall, Judaism's holiest prayer site, in Jerusalem's Old City May 12, 2009. 9 Pope Benedict waves to the crowd gathered in Saint Peter's square during his weekly Angelus blessing at the Vatican, May 16, 2010. 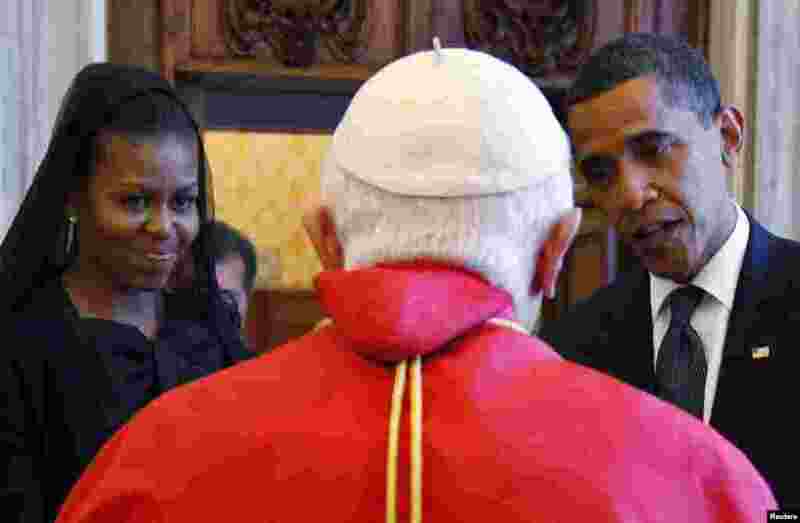 10 US President Barack Obama and his wife Michelle Obama meet with Pope Benedict at the Vatican, July 10, 2009.